Sorry for the huge delay in posting, ladies and gents. That said, good things come to those who wait, and I have quite a few obscurities to share to make up for my disappearance. 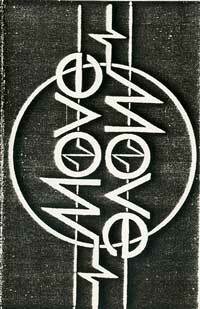 First up we have a previously unheard Move demo tape from 1985, ripped by a good friend in Italy. This tape precedes the Move out Sight cassette and the self-titled LP by a year and change and features a handful of otherwise unreleased songs from the Move catalog, as well as a few that appear elsewhere over the years.